Joel A. Osman, senior counsel at Parker Mills LLP, concentrates his practice on litigation and trials. Prior to joining PM in 2014, Mr. Osman was principal of Osman & Associates a private law firm in South Pasadena. Prior to setting up his private practice, he managed a similarly named entity which was part of staff counsel to Travelers Indemnity Company. For Travelers, he was responsible for all aspects of managing its Southern California liability practice, its multi-million dollar budget and 54 employees engaged in defense of Travelers insureds in all manner of general liability, auto, fire and subrogation matters. Previously, Mr. Osman was a senior partner at Anderson, McPharlin & Conners LLP in Los Angeles. In his career, he has represented clients in cases involving professional liability, general liability, product liability, construction defect and commercial litigation, trying numerous jury trials to verdict. He has focused much of his interest on the defense of lawyers and legal ethics. 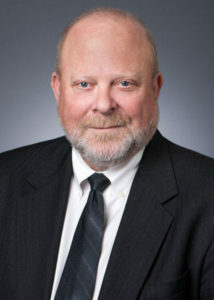 His current professional activities include membership in the Los Angeles County Bar Association’s Professional Responsibility and Ethics Committee (where he was the chairperson for the 2008-2009 year). Mr. Osman has recently been appointed to serve a three-year term as a member of the State Bar’s Committee on Professional Responsibility and Conduct.